On Wednesday, members of the N.C. House of Representatives were prepared to cast a vote on town-run charter schools with major ramifications for the future of public education, but Rep. Kelly Alexander’s mind was on the past. In the late 1950s, as Alexander explained, some North Carolinians were urging state lawmakers to pursue predominantly white sub-districts, an attempt to assuage the budding uproar over the U.S. Supreme Court’s 1954 order to desegregate public schools in Brown v. Board of Education. 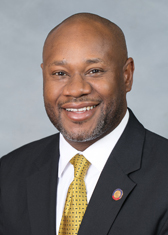 Wednesday’s 64-53 vote in favor of House Bill 514—which aimed to possibly clear municipal charters in four affluent, predominantly white Charlotte suburbs—is an “uncomfortable” reminder, Alexander said. 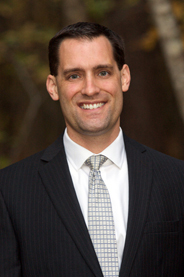 Rep. Amos Quick, a Guilford County Democrat, pointed out that Charlotte was the site of Swann v. Charlotte-Mecklenburg Board of Education, a benchmark 1971 Supreme Court ruling that mandated school leaders redraw their attendance lines to combat school segregation. Moments later, feisty Republicans who supported the measure hit back. “I think we’re skirting the line of questioning the integrity of some of the members of this body,” said Rep. Scott Stone, a Mecklenburg County Republican. 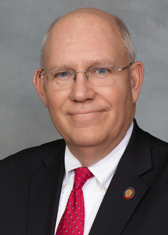 Wednesday’s vote finalized a testy back-and-forth between House and Senate lawmakers in recent days as the legislation, sponsored by Matthews Republican Bill Brawley, made its way through both chambers. Because it’s considered a local bill, it becomes law without Democratic Gov. Roy Cooper’s vetting. House legislators approved a version of the bill last year, but the Senate-approved version that rolled through the House Wednesday added two new Mecklenburg County municipalities. The new law will open up the chance for town-run charters in Matthews, Mint Hill, Cornelius and Huntersville. The Senate version also stripped state health and retirement benefits for teachers in municipal-run charters, something Brawley promised to address in a later bill this session. “We are undertaking some brand new territory with how we do education in this state,” said Rep. Graig Meyer, an Orange County Democrat who voted against the legislation. The municipalities will be able to grant enrollment priority to their residents should they open charters, a sticking point for lawmakers from both parties and another break from the norm. And House Bill 514’s approval comes amid long-brewing clashes between the Charlotte suburbs and leaders in Charlotte-Mecklenburg Schools (CMS), the state’s second-largest school district. Town leaders, particularly in Matthews, complained of overcrowding in schools, and they feared CMS would order long-distance bus rides in order to alleviate well-documented concerns of segregation in the school system. They also complained that they lacked a voice in CMS decisions, spurring talk of “secession” from the district. “How desperate must these towns be if they’re willing to spend their own money on something they should have already gotten from the county and from CMS?” Scott said. 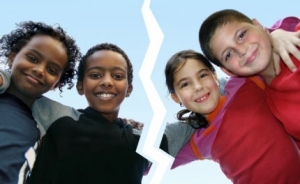 Meanwhile, CMS leaders cautioned that breaking up the district or approving municipal charters would only exacerbate segregation on race and class lines. In all four municipalities, the median income far exceeds the state average. And, in each town, more than 70 percent of the population is white. They are considerably less diverse than the population within Charlotte city limits. The legislation was closely linked to an approved state budget provision that allows municipalities the authority to use property tax revenues on public education, including charter schools. Prior to this year’s budget, that power was left to county governments and the state. Democrats and public school experts said both GOP-offered changes have the potential to drastically alter how North Carolina funds K-12 education, perhaps worsening racial and class divisions, and deepening a growing school funding divide between poor and wealthy areas. Debate in the House and Senate focused chiefly on race, even as supporters among state Republicans characterized Brawley’s bill as a localized boon for overcrowded schools in northern Mecklenburg County. Rep. John Bradford, a Cornelius Republican, argued that the bill came at the behest of local government leaders, not state lawmakers. Look for a full breakdown of House Bill 514 Thursday at Policy Watch.